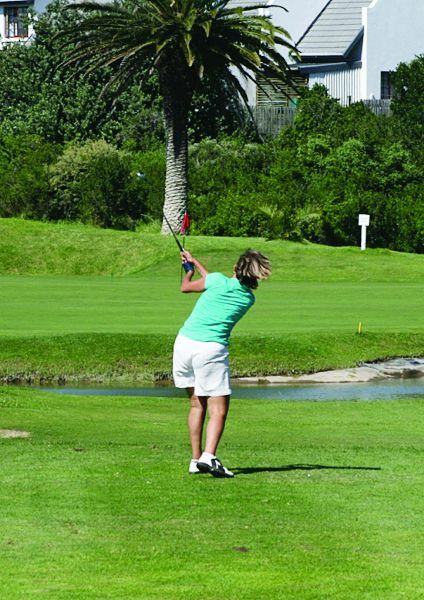 Call it the… Pam Golding Ladies Open Weekend to be played at St Francis Links and at St Francis Bay Golf Club from 22 – 23 November 2014 This year’s Pam Golding Ladies Open Weekend is even bigger than last year’s events. Last year’s field of 128 had to be increased due to demand! Ladies will be travelling in from all directions for a great weekend in St Francis Bay. They will stay at accommodation outlets throughout the area, supporting our local businesses and our local economy. Further to that, many will be returning over and over again. Last year, Knysna alone sent more than 30 ladies. This year there will be 50 ladies particpating from the Knysna clubs. Both courses will be in play on Saturday afternoon and Sunday morning. Please note that there will be space available for open golf before and after the scheduled tournament play. The Clubhouse at St Francis Links will be rocking on Saturday night as Peter will entertain the ladies who will be dresses up for a masquerade. Golf is also on the cards with winning teams acknowledged and awarded prizes daily and for their overall performances. 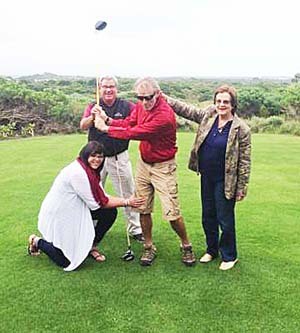 A special thanks goes out to Richard (who is receiving some swing advice from Leely Burger, Jeff Clause and Jean Finn) and Pan Golding Properties. By teaming up for one great weekend, both Clubs and the community will see many more participants than if the golf days were held separately. What started as a good idea has become one of the sought after events on the golfing calendar!